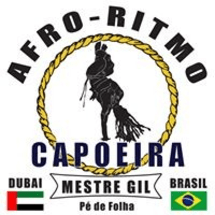 Capoeira Afro-Ritmo Dubai "Jogo Mandingado"
Afro-Ritmo has been developing Capoeira in Dubai since 2015. Our personalized and holistic method of training gives students an authentic understanding of Capoeira not only as a martial art, but as a complex and transformative Art Form. Ask Capoeira Afro-Ritmo Dubai "Jogo Mandingado"
Classes by Capoeira Afro-Ritmo Dubai "Jogo Mandingado"
Reviews on Capoeira Afro-Ritmo Dubai "Jogo Mandingado"